Bitvavo - Why have the digital currency that I sent to my Bitvavo wallet not yet arrived? All Categories ​>​ Deposit & Withdraw - Digital Currency ​>​ Why have the digital currency that I sent to my Bitvavo wallet not yet arrived? The process of receiving digital currency on your hosted wallet is divided into several steps. The steps are described below and there is also an explantation what you can do if your digital currency has not yet arrived. Your transaction is on the way and has been confirmed by the network at least once. Depending on the traffic on the network, the digital currency should arrive between a couple of minutes and a maximum of a couple of hours. The digital currency has arrived and is added to your Bitvavo wallet. You also received a confirmation email about this. 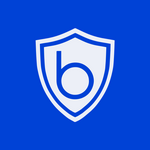 You have sent digital currency that is not supported by the Bitvavo wallet. Some digital currency have to be sent including an additional description (i.e. EOS, NEM, STEEM, XLM and XRP). You have forgotten to include this additional description. You have paid too little withdrawal costs, which is why your transaction has not (yet) been processed. If your digital currency has not been added to your hosted wallet and it is not because of one of the abovementioned reasons, please contact our support team by sending an email to support@bitvavo.com.